Texas’ largest city, Houston, is a premier international metropolis for expatriates seeking an urban lifestyle fused with southern charm; it’s a small town that moves like a big city with vast range of opportunities. And with its world-class infrastructure, Houston is always business ready. Its thriving and vibrant economy is dominated by its oil and gas industries. No wonder Houston has earned a spot in Forbes magazine's Best Places for Business and Careers. Today, Houston acts as a major corporate centre, wherein 26 of Fortune's 500 companies operate within the city. Energy resource is not the only goldmine of Houston. A vital part of Houston's economy is biomedical research. Over the decade, Houston has evolved rapidly in the field of healthcare and the home of the largest medical centre in the US, the Texas Medical Center. Also, Houston's thriving manufacturing industry ranked Gold Medal World-Class Community for four consecutive years according to Industry Week magazine. With more than 10,700 manufacturing establishments, Houston is home to one of the largest IT company, Hewlett Packard, which has the largest workforce in the city. One of the top reasons for moving to Houston is the increasingly diverse employment opportunities, as most expats find Houston a perfect place to build and raise a family. Houston might be intimidating at first to any first time expats but it's the ideal environment to all members of its workforce, as it exudes a comfortable balance of career opportunities and small-town comfort. Business magnates and businessmen mostly reside in the neighbourhood of River Oaks, which is located in the centre of Houston. River Oaks is considered one of the wealthiest communities in Texas wherein real estate value can go as high as USD$20 million. Another known neighbourhood is Houston Heights or The Heights, which is one of the sought after destinations as it caters to expats looking for a suburban lifestyle near the city; it is just a couple of miles from Downtown Houston. City dwellers can find a variety of housing options in the downtown area where residents have easy access to the city's modern conveniences like public transportations (light rail, lift vans and buses). The only downside living and working in Houston is the daily gridlock to work. Summer in Houston is very hot and humid; July is its warmest month while January is the coldest month, and rarely experiences snow. But like any bustling metropolis, expats living in Houston have both pros and cons. Although it is one of the most populated cities in the US, expats fall in love with Houston's southern charm, the friendly locals who are very welcoming, and the good prospect to start a family. Houston has been called many names; it is officially dubbed as the "Space City", being the leader in space technology innovation, and is host to National Aeronautics and Space Administration (NASA)'s Lyndon B. Jonson Space Center. It is also known as the Bayou City, with its ten winding waterways that flow through the surrounding area. Furthermore, Houston is recently hailed as "The Big Heart", being the refuge of Hurricane Katrina victims. And for expats, Houston is what they call their new home. The capital of the Western Frontier has much more to offer aside from living among its infamous cowboys, strolling on the desert riding a horse and listening to its trademark country music. Today, this city is the home of 20 Fortune 500 companies which helped empower its growing economy along with its primary income generating sources like gas and oil. You will find attractive job opportunities in Houston’s IT, medicine and biotechnology sectors that are currently looking for workforce from all over the world. So if you are ready to find out what great possibilities are in store for you in the ‘wild west’, here are some helpful tips that you can use to ensure a successful transition. Houston’s weather is hot and humid, so if you are coming from a cold country, then this is no place for your thick winter clothes. Housing is also one of the top things on your ‘must accomplish’ list when moving abroad and its best to do some homework about Houston’s housing market a few weeks before you relocate by browsing through real estate websites to get an overview of the different neighbourhoods and price range. There are many local realtors that you can contact to help you with your search, but you can also look on your own by driving around or asking fellow expats if they have any referrals. If the utilities are not covered in your rental payments, you should budget at least €120 to cover the bills for your water, electricity, gas and maintenance like garbage collection. You can also get an internet connection which is around €50 per month and make local prepaid mobile calls at €0.35 per minute. Houston has a broad range of accommodations like bungalows, apartments and gated compounds. The minimum contract for rentals is usually one year and above which is long-term but you can negotiate with the landlord if you prefer a short-term lease agreement which is normally up to six months. Most detached homes are on farms where the proximity going to the corporate offices and amenities are farther compared to the apartments located in the city centre. Because of this, you will find a huge number of expats living in the metropolitan where the price of a one bedroom flat starts at €1200 per month and €2300 for a three bedroom unit. There are also several accommodations just outside the centre where a one bedroom apartment is around €850 monthly, and a three bedroom unit is roughly €1500 per month. You will be pleased to know that there are some high profiled schools in the city that can cater to the educational background of your expat children. One of these is the Awty International School Houston, which is currently the second biggest international school in the United States and handles the education of students from 60 different nationalities. There are also local schools in Houston that you can choose from if you are planning to stay for a longer period. Enrolling your kids to one of these institutions will help them be more integrated to the local language and culture which will help speed up the adjustment period. 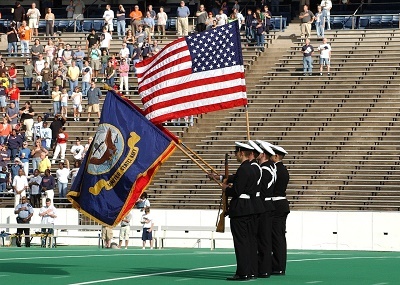 Houston provides free education to all students including expats, and one of the most renowned local schools is the University of Houston that was founded in 1927. Fully furnished apartments are available in Houston but even if you found an unfurnished one, basic appliances like stove, washing machine and refrigerator are usually included. If you are still planning on bringing some more furniture and belongings, you can call international shipping and removal companies to assist you in importing your stuff to Houston. They have a door to door service where their team will pick up the packages from your home and oversee the whole shipment until you receive it in your new home. It takes about 28-32 days for the containers to reach the Port of Houston where local customs will conduct an inspection of the cargos. For information of the city’s import regulations, click here. You can bring your pet to Houston without being quarantined, but you have to present it to a local customs veterinarian for inspection if it has any infectious diseases. You also need to submit the original copies of its Rabies Vaccination Certificate issued at least 30 days before import and the International Health Certificate signed by a licensed veterinarian 5-10 days before departure from your home country. At first, you might find this city to be a little dull because its centre is full of buildings and surrounded by desert. But once you take the time to travel around, you will be surprised to know that Houston is blessed with many tree-lined streets, vast recreational parks and green forests that you and your children would love to spend time bonding with each other during weekends. 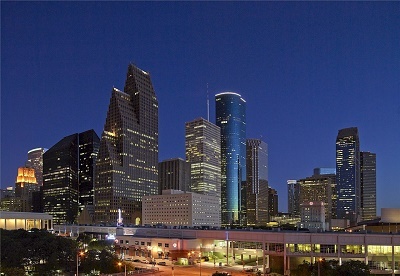 Houston is the largest city in the state of Texas and the fourth-largest in the United States. 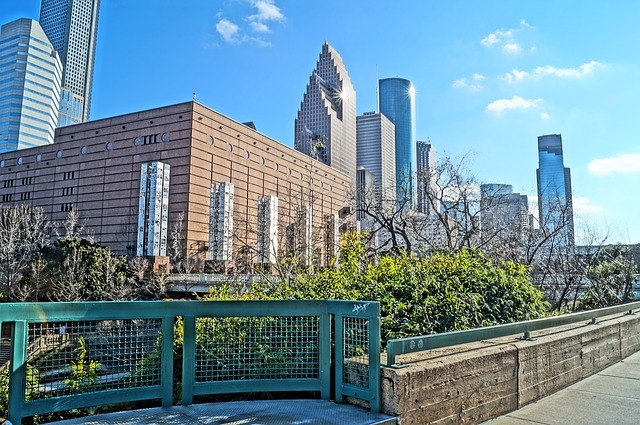 Next to New York City and Los Angeles, Houston is also one of the most diverse cities in the country mainly because of its impressive list of academic institutions and industries. Houston is ranked as the third lowest among the 20 most populous metropolitan areas in the US. The City with No Limits is not just all about cowboys and cattle since it is also known for offering an active lifestyle and lively entertainment. Houston's multicultural population also dates back to its founding days and it now houses the third-largest Hispanic population in the United States. Expats who will live in this city will enjoy a bore-free life among other nationalities such as Asians, Germans, Brits, Russians, Greeks and Hungarians. Educational and entertaining, that’s how it’s done in the City with No Limits. There are numerous activities to try out in Houston, which fits not only adults but also their children. One of which is paying a visit to its fun-filled museums and amusement parks. The Houston Museum of Natural Science (HMNS) located at Hermann Park is kid-friendly and has always been listed as the most visited tourist destination in the US. For expat parents wanting to have their kids learn more about science and technology, arts, health and human development, it is recommended to visit the Children’s Museum of Houston. Kids will enjoy interactive and bilingual exhibitions. Driving around is probably one of the best things every expat will enjoy when he lives in Houston. Having their car rather than relying on public transport is well advised in the city. Foreigners must also be aware that there are instances when there is heavy fog in the city, especially during winter. But, thanks to the extensive superhighways in the Bayou city which makes it better to get around the metropolitan. Houston also wants to make sure that you drive safely at all times and to pay attention to their road signs. However, for many expats, it still takes some time to accomplish everything since most of the requirements still take time to be processed. As an alternative, opening an international bank such as HSBC Premier Banking and the Bank of Texas may be better. Houston is a large city, and overcoming culture can be challenging. The Metropolitan could also be overwhelming, but it would be a lot of fun to explore it as it is embracing diversity one step at the time. Expats that are about to live here shouldn’t be surprised if they see a large group of bikers on the streets. Many locals love to use their bicycles to and from their everyday destinations which is the reason why Houston has the largest numbers of bike commuters in Texas. Unlike the typical American breakfast like cereals or bacon and eggs, Houston locals’ favourite food in the morning is Tacos. When it comes to coffee, they like it iced, considering the heat and humidity of the city.